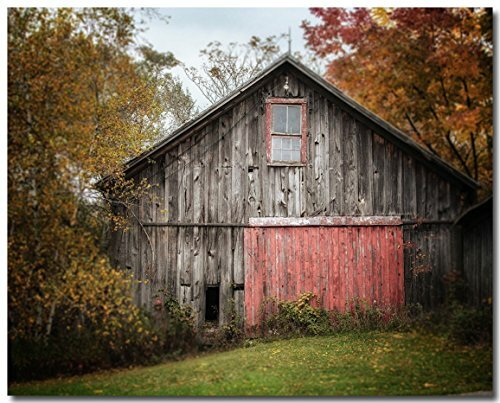 UNFRAMED horizontal/landscape orientation 8x10" fine art photograph of a lovely old Pennsylvania barn in the Fall. Your unframed print is created using premium, archival fine art paper with a soft luster finish. In a standard 8x10 size, it is easy to pop into an off-the-shelf frame.